Bruno Coelho will start tomorrow’s A-Main at ETS Daun on pole position, the Xray driver seeing off a valiant effort from Freddy Sudhoff in the fourth & final qualifier. 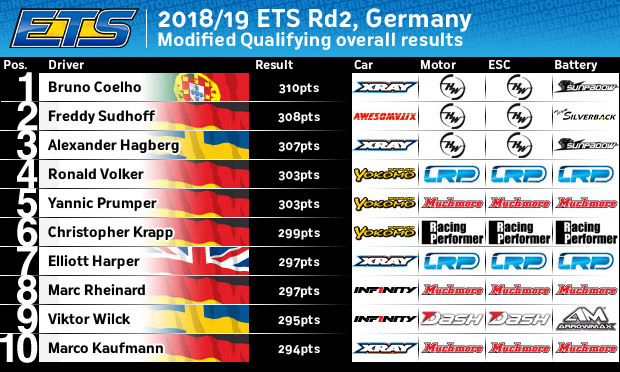 An exciting qualifying at Round 2 of the championship would set-up a three way fight to be Top Qualifier in Germany, Coelho taking Q1, Alexander Hagberg Q2 and Sudhoff Q3. While a mistake early on put Hagberg out of contention, Sudhoff was more than up for the fight for his first ETS TQ pushing Coelho hard for the first half of the 5-minutes with the Awesomatix driver top of the timing screens. 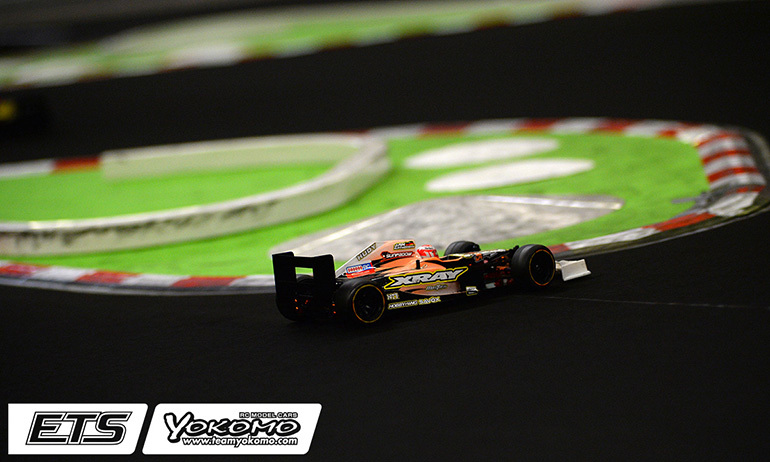 Coelho, however, drove a more consistent second half of the heat and it was enough to give him TQ run no.2 of the weekend by 3/10ths of a second and with it his first TQ bonus point of Season #12, the Portuguese driver having picked up 5 of them on his way to last season’s title. 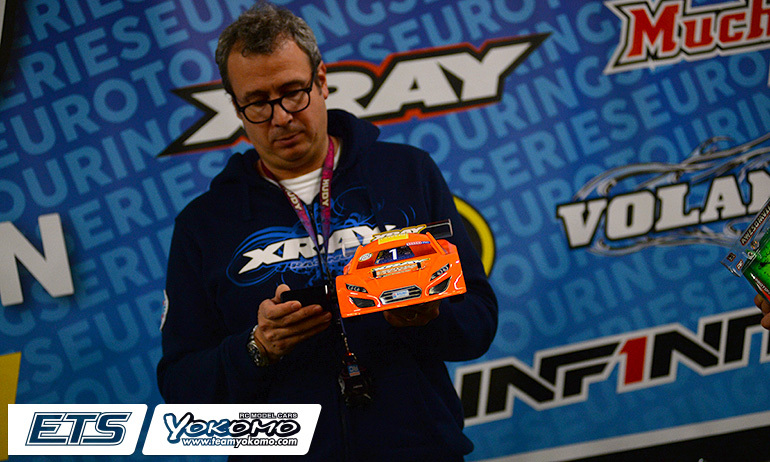 Getting a P5 in Q4, Hagberg’s TQ run and 3rd in Q3 will put his Xray third with the honour of best of the rest going to championship points leader Ronald Volker who got fourth after the tie breaker with Yannic Prumper. 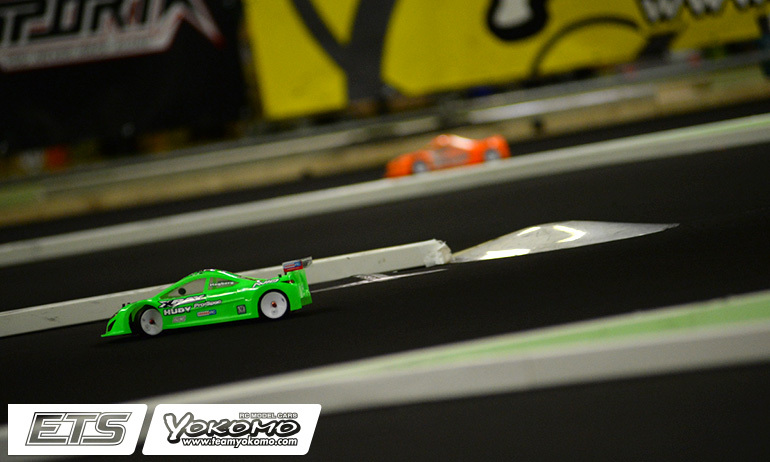 ‘It was a very tight qualifying with no room for mistakes’, was how Coelho described the TQ decider. The World Champion continued, ‘Freddy was super fast at the beginning and we fight a lot but towards the end he lost some pace so I could drive more careful and not super close to the dots’. Asked about tomorrow’s finals, the winner of last year’s Daun encounter said, ‘It will be very difficult. All three of us have the same pace. Starting at the front I have to make no mistake and take no risk. I have to be careful with my braking, they can brake later than me’. Having constantly changed his car every run, on his set-up for the final he said, ‘We have 2 cars in the Top 3 so the car works well but we are missing 1%. For sure the car was better in Q4 than before but its not 100% so we will continue to change some details’. ‘Almost TQ’, conceded Sudhoff. The World Championship finalist added, ‘it was just a 3/10ths margin to Bruno. It was a super nice fight with him. Some laps I was quicker, some laps he was quicker but I am super happy to start on the front row’. 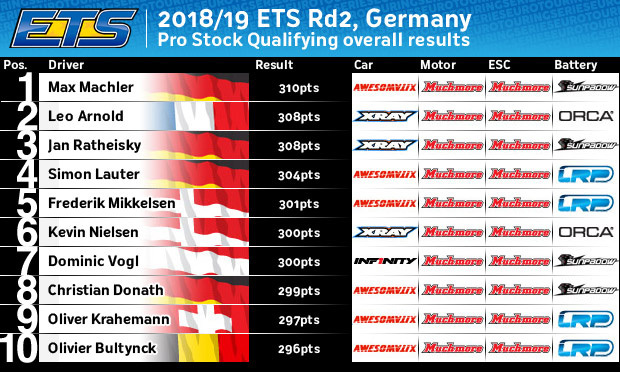 Putting in one of his most impressive ETS performance’s to date, the German said, ‘the car been working super good and been on point all weekend. Overtaking is going to be hard because the track has a good flow but there are many hairpins which present the chance to brake down the inside’. Hagberg was clearly annoyed he threw away the chance to fight for the overall TQ. A multiple ETS race winner, he said, ‘I made a mistake early on and lost my rhythm and I couldn’t recover’. Asked about the finals, he replied, ‘I will try my best to fight for the win. Anything can happen so we’ll see’. ‘I won the battle of Best of the Rest’, was Volker’s reaction to his fourth place on the grid. 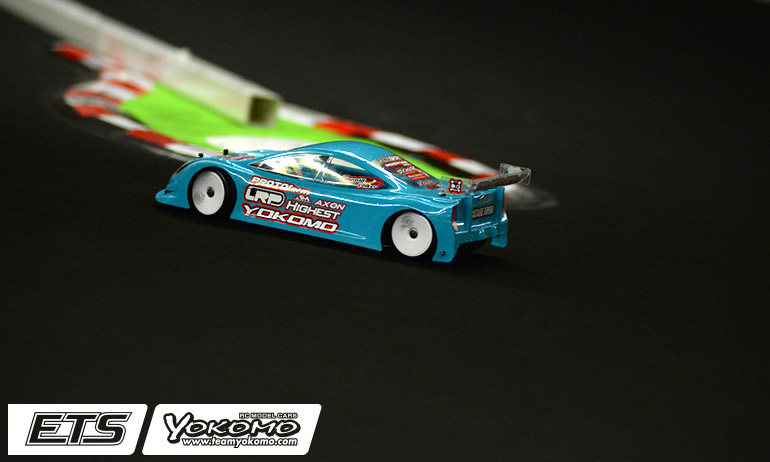 Having taken the TQ and victory at the season opener in Vienna, the Yokomo driver has struggled to match the pace of the Top 3. On Q4, he said, ‘I knew I had to finish close to Yannic (Prumper) to secure 4th on the grid and at least this worked out’. Having changed his set-up for the final round, the former World Champion added, ‘it wasn’t any improvement at the beginning of the run so I changed to a more aggressive driving style to keep up. 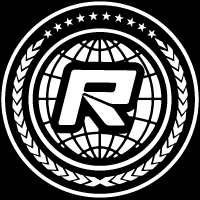 We are still not where we want to be so will have to do more changes to for A1’. He concluded, ‘I hope something happens in front otherwise it’s going to be hard to challenge them for a podium’. 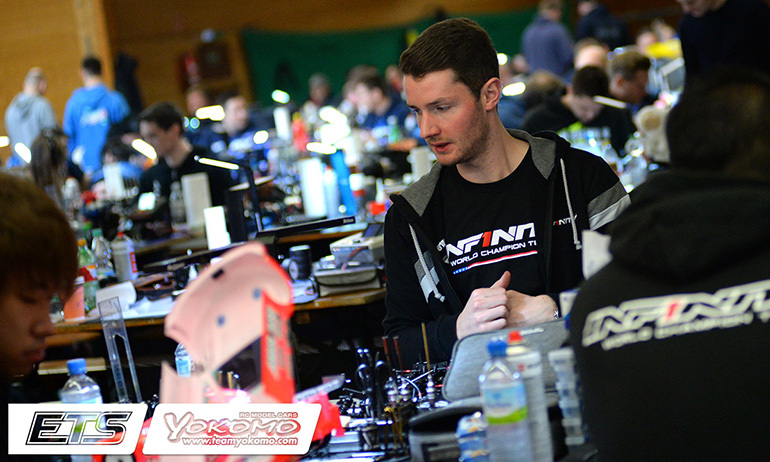 Qualifying best of the Infinity drivers, Marc Rheinard securing 8th and new signing Viktor Wilck set to debut from 9th, Prumper said, ‘Unfortunately Ronald had a faster 3rd place and I will start 5th. I am slightly faster than him but he starts in front of me’. Struggling with his car in 180 corners, the track layout featuring many of them, he said, ‘It is still pushing and I know now what else to change anymore so I will keep it the same as it is for the finals and try to get the best result I can’. While Sudhoff was denied his first TQ in Modified, in Pro Stock his mechanic Max Machler delivered the Russian designed car a pole position. 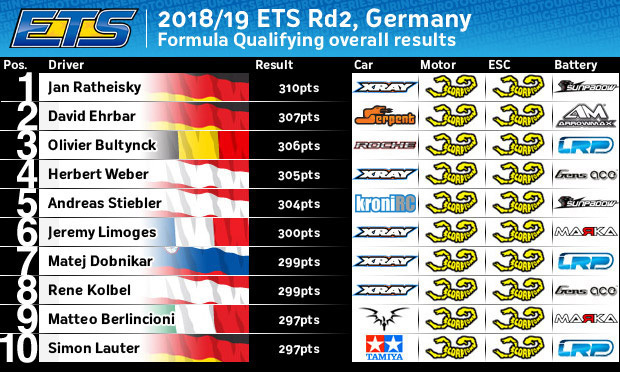 Having topped Q3, the popular German repeated the form in the deciding final qualifying to become Top Qualifier ahead of Léo Arnold, the Xray driver making a mistake that dashed his chance of an overall TQ. 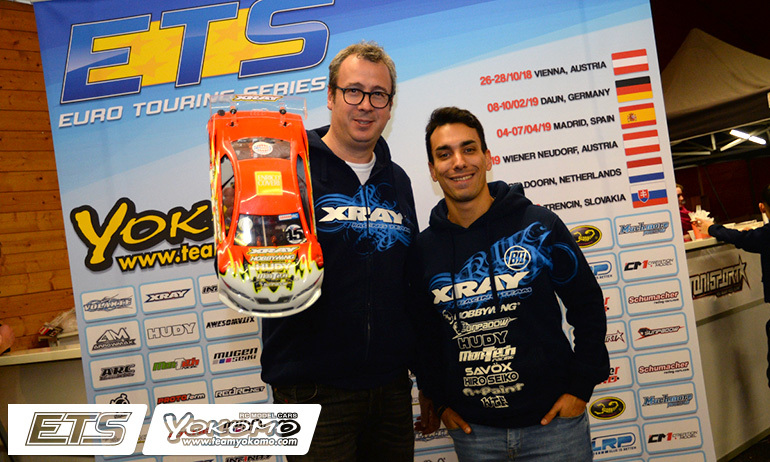 Defending champion Jan Ratheisky will start 3rd with ETS Vienna winner Simon Lauter lining up fourth. 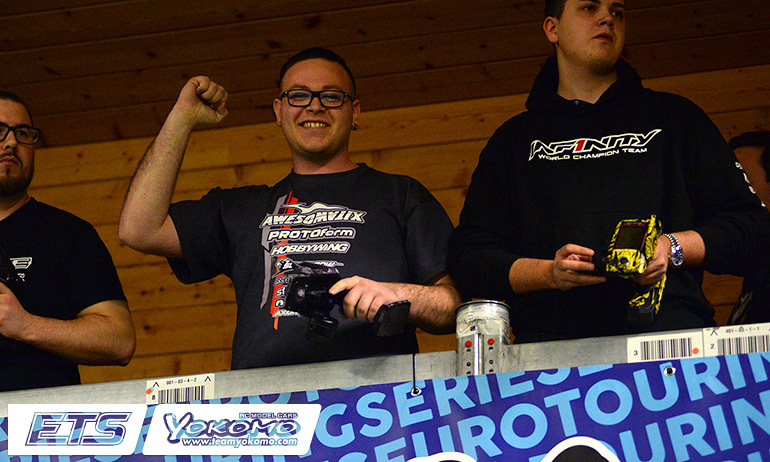 In the new 17.5 Stock class, Alexander Müller took the final qualifier but with a faster TQ time it will be Torsten Baggendorf who starts on pole, while championship leader Daniel Pöhlmann lines up third. In Formula, Jan Ratheisky capped off qualifying with a third TQ to put his Xray on pole. Behind the reigning champion, the Serpent of former champion David Ehrbar will take up second on the grid with the Roche of Olivier Bultynck third. Inaugural Formula Champion Herbert Weber starts 4th. 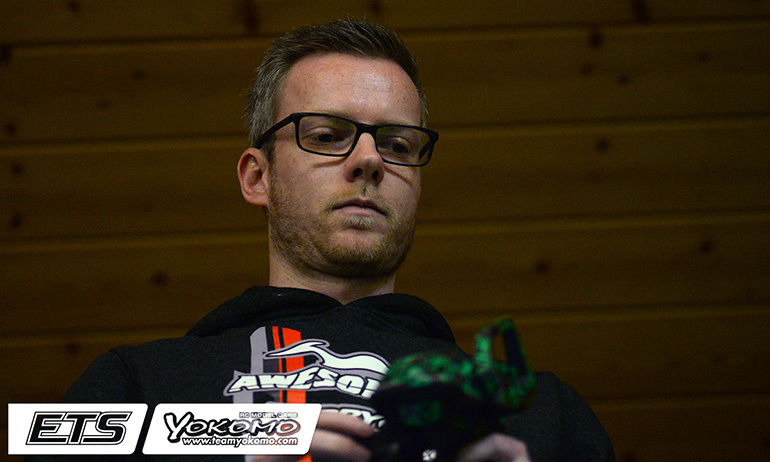 With Alexander Stocker wrapped up the overall TQ after the third round of qualifying, the order behind him in the Masters 40+ class was decided in Q4 as Andreas Weyhoven 2nd, Christian Drießle 3rd and the defending champion Thomas Oehler fourth.